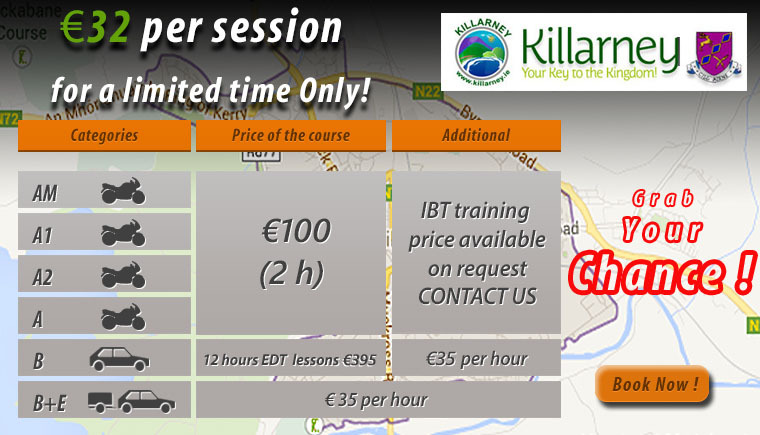 Welcome to Breen’s Driving School based in Killarney Co. Kerry. Please feel free to take a look through our website to find out all about us, how to contact us and see some of the you tube tutorials we have added to help you get prepared for your car and motorcycle driving test. 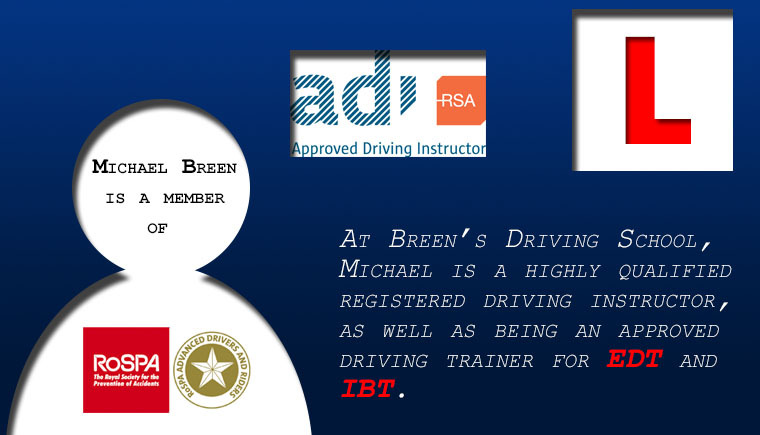 Here at Breen’s Driving School Killarney we have nearly twenty years of driver training experience, having been in the driving school market since 1995 in Killarney. Over this time we have acquired numerous qualifications which we have listed in our credentials part on our site. 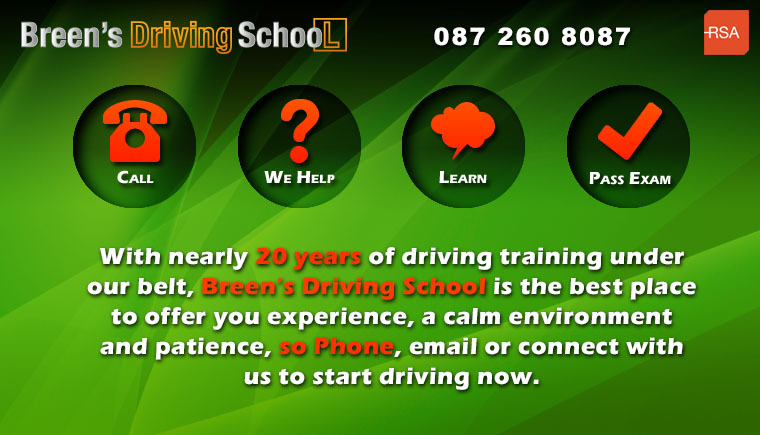 At Breen’s Driving School Killarney we promise to help you achieve your driving licence by offering you our extensive years of experience in a calm and patient environment. If you check out our testimonials page, where some of our past students can verify our claims. We have tried to organize our web site to offer you valuable relevant information with regards to your car and motorcycle driving tests. We hope you find it written in a clear precise manner and that you find the video links and relevant information links, help clear up any misgivings or confusions felt with regards to sitting your driving test. 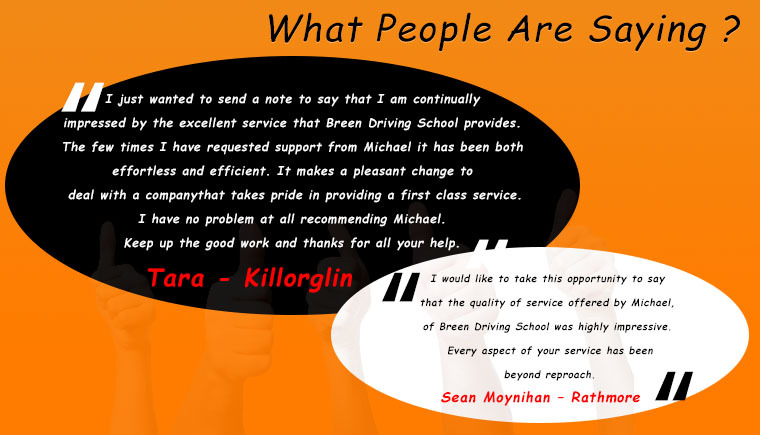 However if you have any questions, queries or wish to contact us please call Michael Breen on 0872608087, email us at michaelbreen95@eircom.net or connect with us on facebook or google+. 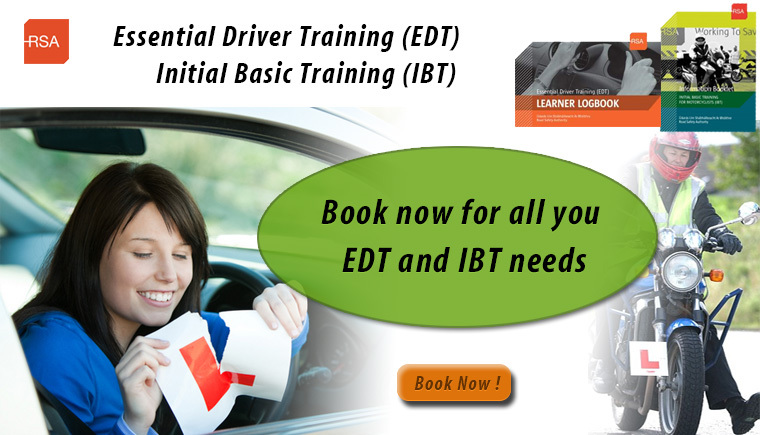 We look forward to hearing from you and hopefully working with you to achieve your driving licence in the near future.